GPS co-ordinate - S 26°10'57.5", E 28°07'06.3"
Florio Attorneys Inc is a boutique law firm specializing in conveyancing, notarial and deceased estate matters. 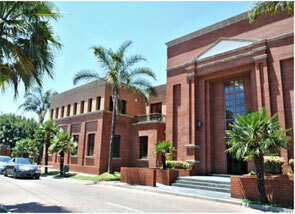 We assist with documents for the embassies to be used overseas. We also draft your wills and antenuptial (marriage) contracts. We are available to assist you with all your property requirements including evictions. We have a team of estate agents who specialize in real estate: renting & selling your property. We include a 2-in-1 Service - We sell your property and attend to the conveyancing transfer. We thank you for allowing us the privilege to present our company profile to you. Florio Attorneys Inc, Notaries & Conveyancers was established in 2011 and practices from offices in Bedfordview, East of Johannesburg. We are centrally situated next to the Eastgate shopping centre and main taxi rank. Our main focus is to offer personalized customer service to the individual client. No matter is too small or too large for us to handle. We are also open on Saturdays by appointment. Our director Aida Florio was admitted as an attorney in 1998 and her experience ranges from Road Accident Fund matters to property law, family matters, evictions, leases, deceased estate matters, general litigation and dispute resolution matters. She speaks English, Italian, French and Afrikaans. She is committed to pro bono work and acts as a Small Claims Court Commissioner. We adhere to the highest degree of ethical behaviour as required by the Law Society of the Northern Provinces and by the legal profession itself. Our aim is transparency. We are here to serve you and the community. Our vision is to be true purveyors of the law and to ensure that those who cannot speak up for themselves are heard and are afforded equal opportunities to access justice in South Africa. In our experience with low cost housing transfers, we have come across multiple clients who have been caused great harm due to their lack of knowledge of the law. We are pushing to get the law out to the rural areas so that these injustices do not recur. Should you need assistance, we are here to help. Our Mission is to assist in establishing a fair and equitable society where all people, no matter their status, colour, nationality or religion, recognise that the law is there to balance the rights of the individual and of the community. We aim to bring the law and justice out to the masses. We look forward to a long and fruitful working relationship with you. We believe that when priorities are kept in the correct order: God, family, business - miracles do happen!